Singaporean – O Hei There! Greg wasn’t able to join me in any of our dinners near the vicinity of my birthday, so he wanted to make it up to be by taking me somewhere. 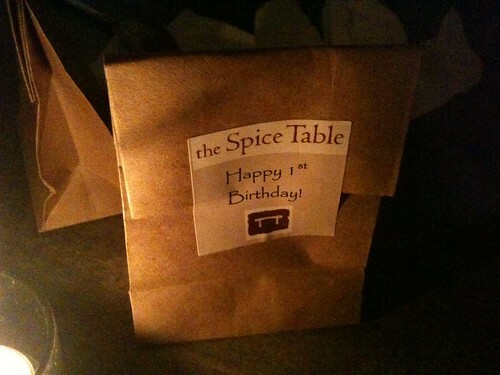 Since he was coming from Fullerton, we decided to meet up at The Spice Table in Little Tokyo. 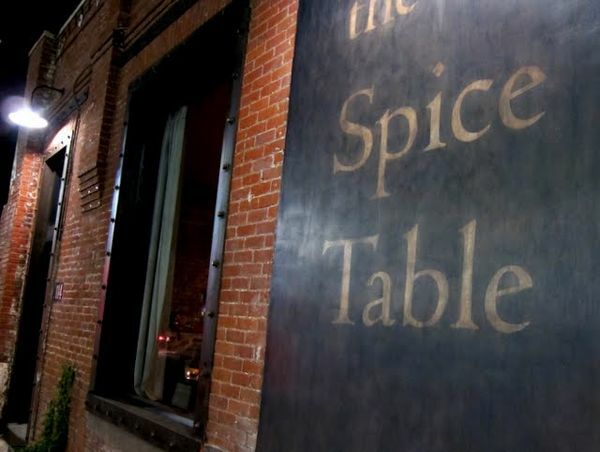 When he asked me where we should go, I chose The Spice Table, because it had been on my short list of to-try places for a while, and I really liked the pig tails they served at The Gold Standard. Jen, who joined us, was looking forward to this dinner because she grew up in Singapore and wanted some authentic food. 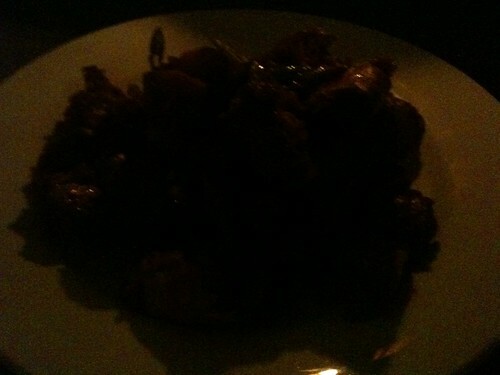 The restaurant was smaller than I had anticipated, and VERY dark (not that my phone photos would’ve been much better anyways). Nice and cozy, seems like a nice date place if I ever went on one. We went during their one-year anniversary week, so we ordered bottles after bottles of Tiger beer for $1, and tried the ribeye special that wasonly available during that week. The ribeye steak, which was rubbed with what I believe was palm sugar and sambal before getting the grill treatment, was pretty tasty. 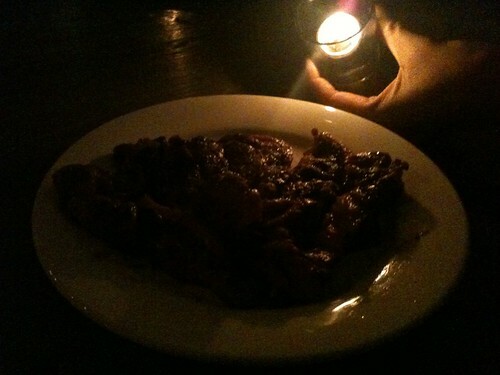 Problem was, the slices of meat were a bit fatty (not in a good way) and looked hacked. 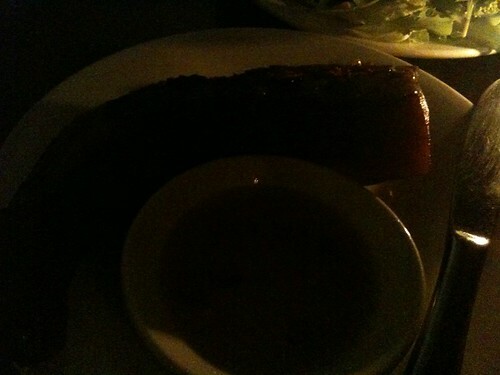 Also, it was on the medium-well side (we asked for medium-rare). However, the rest of the dishes were better. 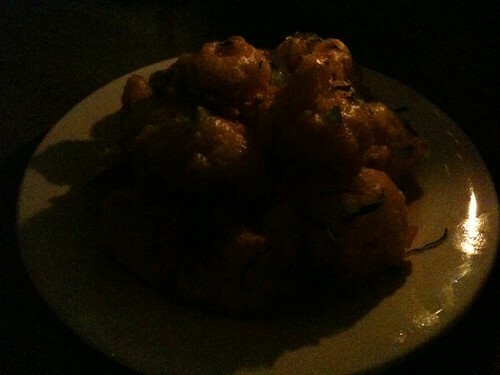 Fried cauliflower was simple enough, but if not careful, one could easily develop an addition. They were light and airy, and went well with the accompanying fish sauce. The sambal fried potatoes were similarly munch-worthy, except it’s easier to know when to stop when the heat from the sambal hits you. 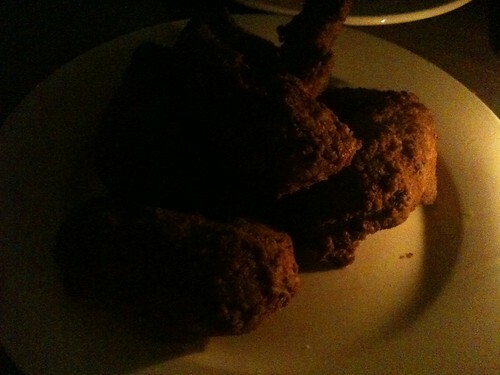 The curry fried chicken wings were good, but way too much batter IMO. 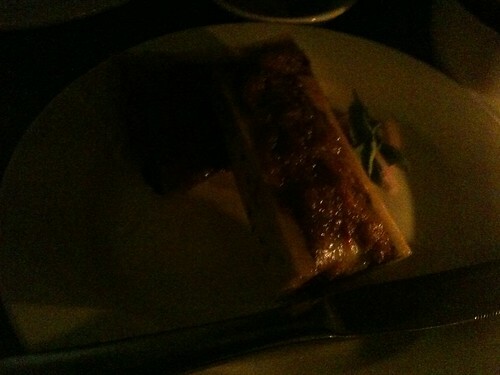 The bone marrow, which made J. Gold’s favorite dishes of 2011 list, definitely lived up to the hype. The fattiness of the marrow paired so well with the prawn sambal. Just a bit sad that there wasn’t enough to go around. 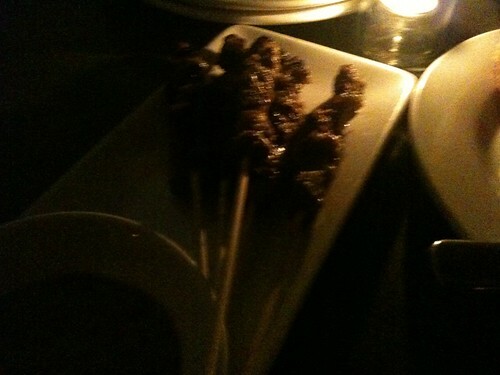 Onto the satays. We ordered two different ones: the lamb belly and the foie gras ones. The lamb belly one was nice, but sadly weren’t as good as I expected it to be. The foie gras one was a surprise disappointment. 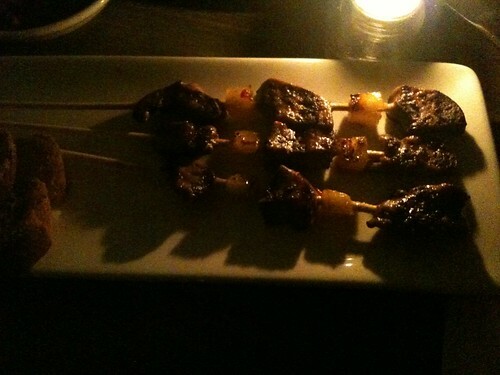 The little pieces were fairly dry, and resembled chicken livers more. I really wanted to try the tripe one, but it wasn’t on the menu that day. Also ordered the kon loh mee, basically egg noodles with char-siu pork, ground pork, choy sum, and sambal, all which we mixed in a big bowl. Pretty good. 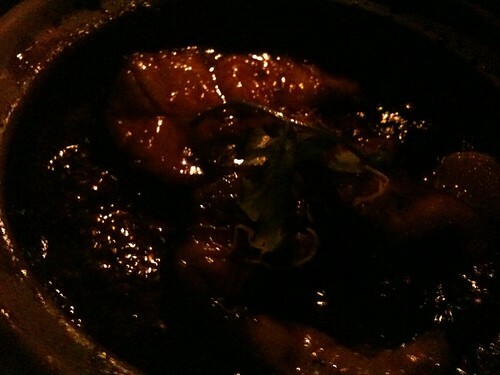 For the bigger plates, we ordered the black pepper crab toast, catfish claypot, chicken curry,and pig’s tail (duh). The first two, from the seafood section of the menu, were two of the better dishes we had that night, especially the crab toast. 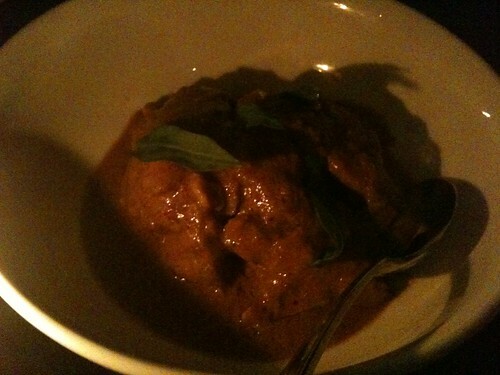 The chicken curry was…chicken curry. Decent, but nothing great. Blame Greg for really wanting a chicken dish (he was on a no-beef diet for Lent). The other real highlight of the night was, of course, the pig’s tails. One big tail came out in all it’s fatty glory, along with some lettuce, herbs, and fish sauce to wrap and dip. Very Viet presentation, and very delicious. Overall, somewhat of a mixed experience with regards to what we ordered, but still mostly positive. 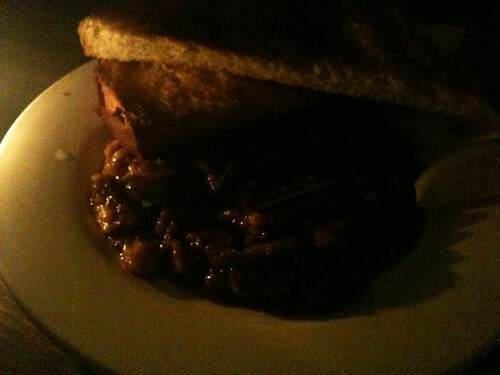 The pig’s tail and the crab toast were the two standouts. Service was very good, and food came out fairly promptly. They even gave me a kaffir lime custard for my birthday (which was very good). I later on read that Chef Bryant Ng was away at a charity event that night, so maybe that might explain some of the inconsistencies, or maybe I just came in with too high of expectations. 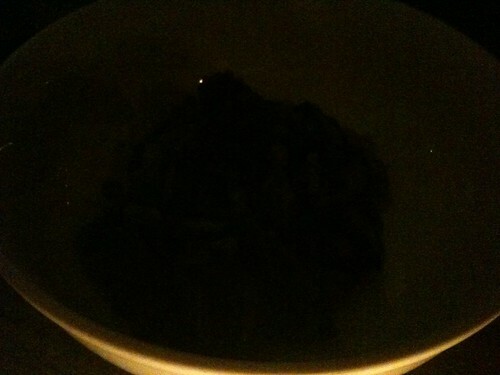 Still, we had a good dinner, and I have no problem making a return visit in the future. And congrats to Chef Ng on his Food & Wine Best New Chef honor.